Denmark-based decentralized conglomerate OpenLedger DC, an ecosystem of a group of ecosystems, announced in an email it sent to CoinReport that game development platform GetGame, a new ecosystem of the conglomerate, intended for developing games from the idea stage to raising funds, hiring skilled workers and marketing, will launch at the end of the year. On this all-in-one platform for game investors as well as game creators, developers and dreamers, gaming project initiators can create their projects’ own profiles, where investors can invest in the games if they believe in them and expect them to do well. Each game will get its own token and investors will receive them in proportion to the sum invested. The tokens can be traded within the platform. Payments can be made in USD, EUR, BTC, ETH, BTS, or any of the other currencies powered by OpenLedger. 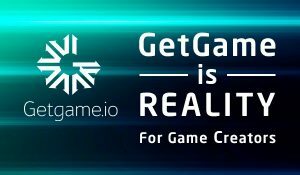 Before being accepted by the GetGame platform, each game must be validated, and the gaming project initiators must agree to share 10% of their future revenue with GetGame and all the holders of its own token, REALITY (REA), which will have been distributed among investors of GetGame itself following the platform’s own Initial Coin Offering (ICO) at the end of this month. Soon, with OCASH, the official debit card of OpenLedger, cashing in the success could be done by withdrawal with a Smart coin transfer or via debit card or bank transfer. Gaming project initiators can use the integrated eDev.one platform, a freelancing ecosystem of OpenLedger, to find and hire any missing talents necessary to complete and/or market their gaming projects. The hired talents can either be paid or given a portion of game tokens for their services, whichever payment arrangement they agree with. Each agreement between freelancers and gaming project initiators is secured by an automated system, which holds the funds until the job has been marked complete. 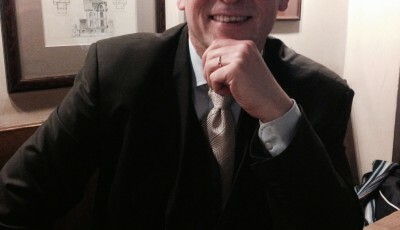 The integrated HubDSP automated advertising platform, another OpenLedger ecosystem, offers the gaming project initiators the most cost effective method for buying online advertising that is matched to target audiences with “pinpoint accuracy.” Using real-time bidding feature of the platform, the initiators can set bids, buy ad inventory by setting an individual price for each visitor and evaluate audience data. To advertise itself to potential REA investors for the upcoming ICO, GetGame has launched DinoMess, an augmented reality game inspired by Jurassic Park and Pokemon Go and Cryptonomia, a game with its own blockchain and cryptocurrency. DinoMess is currently available for download on App Store and Google Play only to people living in Australia, New Zealand and the Philippines. More samples of games are expected to launch soon for potential REA investors to see exactly how the platform can help create and sell games and of what standards. REA will be available on the platform’s website and other major exchanges, including OpenLedger DEX, and will be backed by the equivalent digital SmartCoin of USD named bitUSD with a portion of the funds obtained as a market and liquidity buffer and showing on marketplace as USD. For this purpose, 10 million tokens in total are generated. Prior to ICO, early bird option allows investors to get on board before the launch and get extra bonuses, including 50% extra tokens and 1 OBITS.WARRANT for every dollar spent. 55% distributed to GetGame ApS incl. future costs marketing, HackICO’s, prizes etc. 20% distributed to REALITY (REA) holders in OpenLedger with bitUSD dividends or other DEX’s via their native core token on the base of buyback.